The trek was real fun. 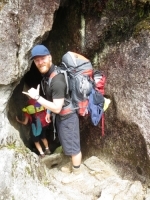 I suggest going to Machu Picchu only on the Inca Trail since it is the best way to see the site and feel that you made an effort to get to it instead of just taking a bus. The trek was very good. The guide made sure it was not too hard for anyone. We could walk in our own pace and even the height was not so bad. We had a little bit of rain but it was not a drawback and we managed to enjoy it. 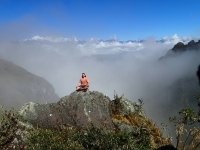 I have booked "8 Days and 7 Nights Hiking the Inca Trail to Machu Picchu". One of the most important point for me was to have a good group and to enjoy the time together. 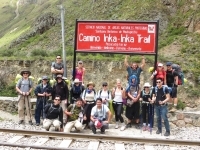 The Inca Trail Trek ... probably the toughest four days of my life ... but thanks to the amazing group that I had the pleasure of sharing it with, the tour guides and the porters ... the journey was made into one of the greatest experiences of my life. 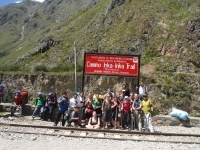 It was a pleasure doing this trek with a very diverse ´family´ that bonded pretty quickly. 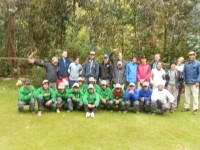 Our tour Guide Carlos and Marco were very knowledgeable of the Inca culture and accomplishments. The porters hauled quite a lot of gear for our comfort and cooked delicious food during the whole trip. 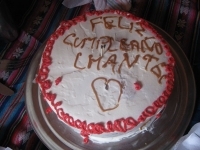 The day of my birthday, the chef cooked a surprise cake to celebrate starting what would become a fantastic and memorable day !!! I had an amazing experience with this co. 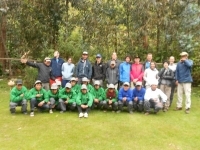 They helped me organize everything from planning my stay at Cusco to pick up service from and to the airport. My guide Raul and Marco helped me get through the whole trek as smoothly as possible, and I am in my 50s. 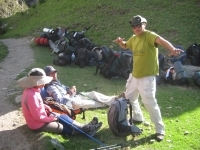 Raul, my tour guide, and Inca Trail Reservations was simply amazing throughout the duration of my four day Inca Trail trek. 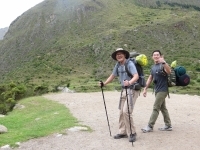 Raul, Marco -- the assistant guide -- and the porters went above and beyond their call of duty; they made sure every adventure-goer was comfortable, fed, and had a full stomach. 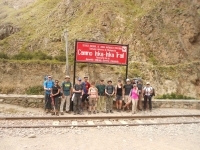 I had visions of trekking the Inca Trail for many years. A bucket list thing, you know. And at 59 years old it was more than time to do it. This trail....and this company, Inca Trail Reservations made it come true to the 9th degree. It was an amazing trip. Touching the clouds. Thank you for providing us with an adventure of a lifetime! Each day had a different highlight, whether it was making the hike up to 4200 meters, or getting pancakes for breakfast. 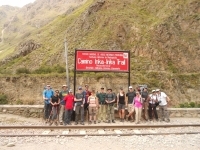 The food was sublime, the porters were enviably fast and the guides were as helpful as they were knowledgeable. All you need to carry is your own sleeping bag, pad and clothes, the porters carry everything else, unless you hire an extra porter, then you carry just your drinking water and maybe some rain gear.